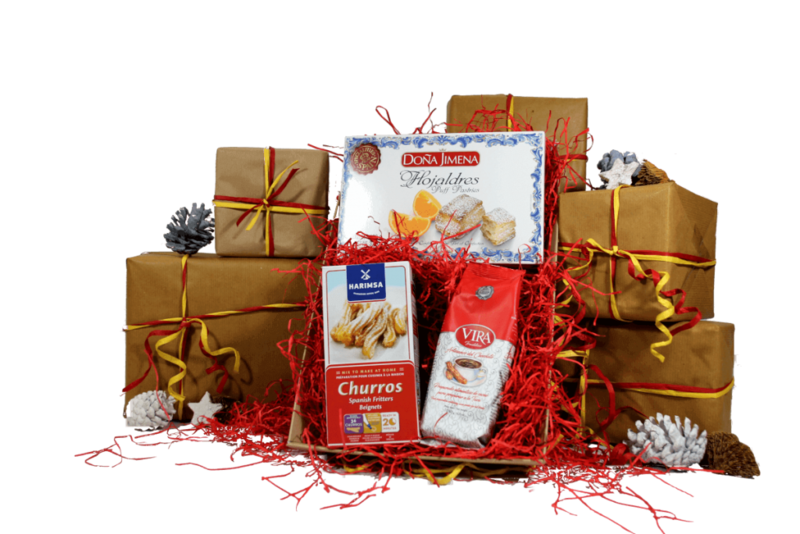 This is a lovely gift tray containing everything you need for a delicious indulgent Spanish-style breakfast! Make rich creamy Spanish hot chocolate to dunk warm churros (Spanish doughnuts) into, together with flaky sweet puff pastries - the ultimate indulgent breakfast! 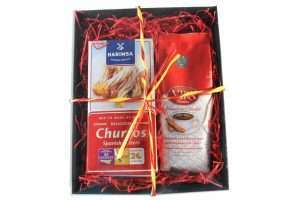 The tray contains 180g Hot chocolate powder, 500g Churros mix (which contains a piping bag and instructions for making the churros) and 100g Hojaldres. All packed into a card tray with red paper shred. We can include a gift message with your gift, just let us know when you place your order!